Professor Dean Burkin from the University of Nevada, Reno, School of Medicine discovered that a naturally occurring protein named Laminin-111 prevents muscle damage in mouse models of muscular dystrophies. This discovery holds promise as a possible treatment for congenital muscular dystrophy in humans. Professor Burkin’s discovery could provide a new therapeutic option for MDS1A and other muscular dystrophies. The protein laminin-111 is a possible treatment for MDS1A because it can compensate for the genetic deficiency of the laminin-211 protein. Since the protein laminin-111 is a naturally occurring protein, it is less likely to be rejected by patients or give rise to side effects. Now Professor Burkin’s novel research is at the center of strategic agreements between the University of Nevada, Reno and Alexion Pharmaceuticals. According to the agreement, Alexion has an exclusive option to license laminin-111 directly from the university upon the achievement of specified research and development milestones. In addition, the university and Alexion have entered into a sponsored-research agreement to accelerate further research on the patented therapy. The collaboration with Alexion represents a significant step toward further investigation of Laminin-111 as a potential treatment for MDS1A. Through the agreement with Alexion, professor Burkin hopes to move his discovery from the bench to therapeutic application. Professor Burkin’s work is exemplary of the University of Nevada, Reno’s cutting edge bio-medical discoveries and innovations. Professor Burkin and his colleagues’ contribution have developed an innovative research environment to attract companies, investors, entrepreneurs and researchers to the university. Each year the university attracts about $150 million in research funds. In 2013 the University of Nevada, Reno received $17 million from the National Institutes of Health. 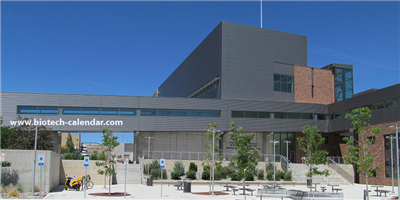 The University of Nevada, Reno is a richly funded market where researchers are eagerly looking for the newest tools and equipments to strengthen their research. 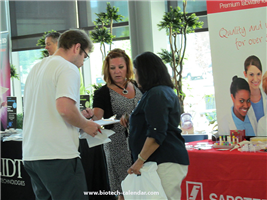 Biotechnology Calendar, Inc. is organizing the 8th Annual BioResearch Product Faire™ Event at the University of Nevada, Reno on June 2nd 2014. This event provides an opportunity for laboratory supply companies to network with academic researchers in the Nevada market. 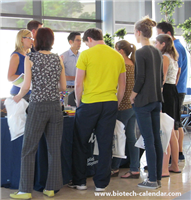 Biotechnology Calendar, Inc. has been producing on-campus vendor showcases for more than twenty years. It aims to bring the best research tools to the best research institutions at its BioResearch Product Faire™ Events each year. Last year more than a hundred research professionals participated in the BioResearch Product Faire™ Event at the University of Nevada, Reno. 27% of these attendees were professors and laboratory managers. Biotechnology Calendar, Inc. organizes nearly sixty shows at different institutions each year. Please read the National Show Schedule for 2014 for more information.